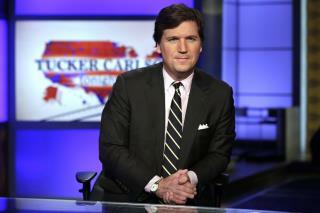 (Newser) – Comments about immigrants that Tucker Carlson made on his Fox News show Thursday have just caused a major advertiser to give pause. The Hill reports that insurance company Pacific Life is, at least for "the coming weeks," yanking its ads from Tucker Carlson Tonight as it "[reevaluates] our relationship with his program," per a statement posted on Twitter. What Carlson said that prompted Pacific Life's retreat: Per HuffPost, the Fox host was taking issue with "previous" US leaders who insisted that Americans "shut up and accept" immigrants. Then, in a continued mocking of those previous leaders, Carlson went on to say that "we have a moral obligation to admit the world's poor, they tell us, even if it makes our own country poorer, and dirtier and more divided." Pacific Life's ad aired immediately after the opening segment in which Carlson made those remarks. "As a company, we strongly disagree with Mr. Carlson's statements," Pacific Life says. "Our customer base and our workforce reflect the diversity of our great nation, something we take great pride in." In its own statement to the Hill, Fox News lamented the "unfortunate and unnecessary distractions" it says were spurred by "left wing advocacy groups [that] under the guise of being supposed 'media watchdogs' weaponize social media against companies in an effort to stifle free speech." Newsweek notes that, before this incident, Carlson has never been boycotted by advertisers, though other Fox News hosts like Laura Ingraham and Bill O'Reilly (who's no longer with the network) have. Apparently Tucker is utilizing his freedom of speech and Pacific Life is utilizing its freedom of the market place. Big deal. Were any laws broken by either? Move on. Tucker supports the undermining of USA by Don the Con. He's losing what little credibility he ever had and shedding advertisers. Good.